I mentioned earlier this week that the structural beams in our kitchen are in place thanks to help of some of our friends. 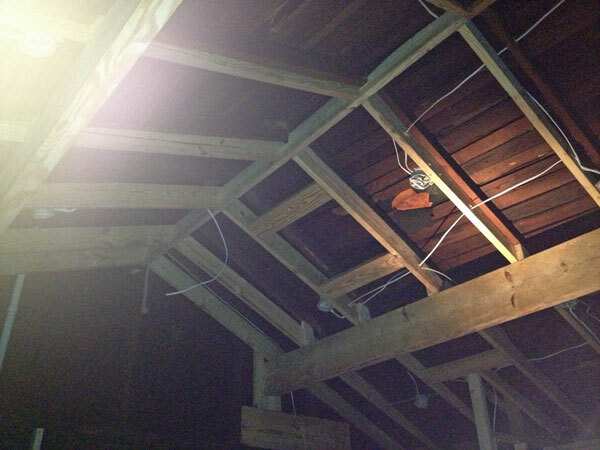 Well, when the guys installed the beams nice and level we realized just how much the roof has sagged over time. Notice those small blocks above the beam? The ones that get progressively longer from one side to the other? Those are to accommodate the sagging. 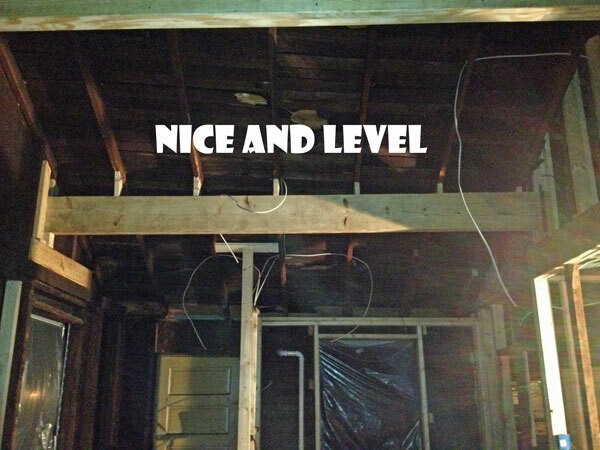 It was noticeable before, but you slap up a level beam and BAM! Holy-crooked-moley-batman! Here is our new “false” kitchen ceiling in all its glory. Please forgive the night-time, Iphone photos. You know what is not glorious? 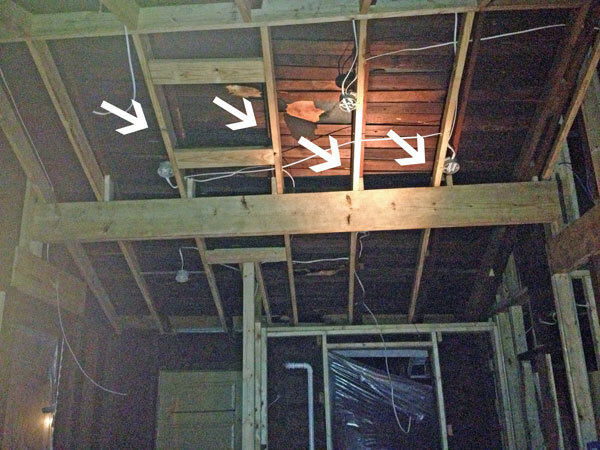 A leaky roof…and we have one. Thank you, Mom, for giving me Granny’s giant bucket/pail/thingy-bob. It makes for a great rain catcher when the roof leaks. The good thing about still having all the walls and ceilings open while it rains for five straight days is that you can easily spot the leaks! We have a roofer coming out tomorrow to take a look. With the kitchen ceiling done, we have officially completed our list for the building inspector, and we are hoping to have her back out tomorrow! We will keep you posted. I also have updates on some window drama to share. For those of you who live in Alabama, are you as sick of this weather as I am? Blah! I think I am forgetting what the sun looks like… Thanks for stopping by and reading! What have you guys been up to lately? 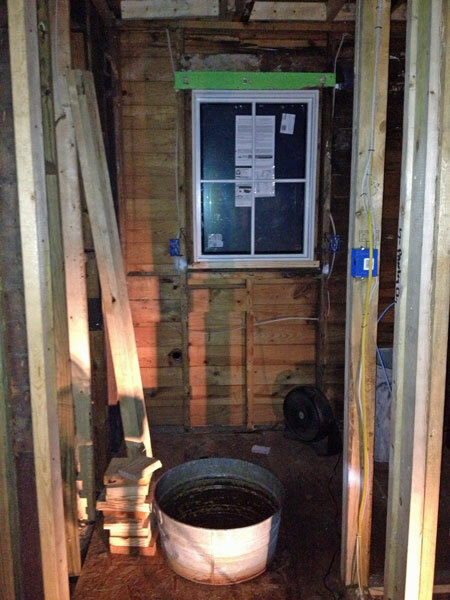 This entry was posted in beams, Ceilings, inspection, Kitchens and tagged Building inspection, DIY, kitchen, leak, roof, vaulted ceiling by younganddomestic. Bookmark the permalink.